It isn’t a food related trend, but Unicorns are definitely in at the minute. You can find unicorn designs on anything and everything, be it a swimming pool float to a new mug the unicorn design has made it in 2018. 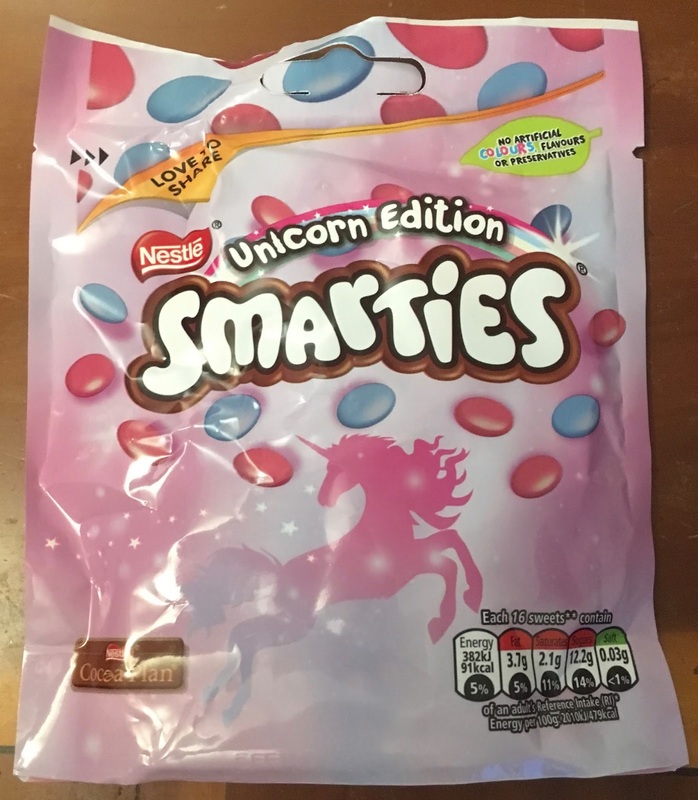 This does have some problems with food cross-overs as there isn’t an obvious flavour, but Smarties gave it a try, and to be honest I don’t think they hit the mark. The bag is nicely decorate in its pink and blue with a unicorn design on the front. 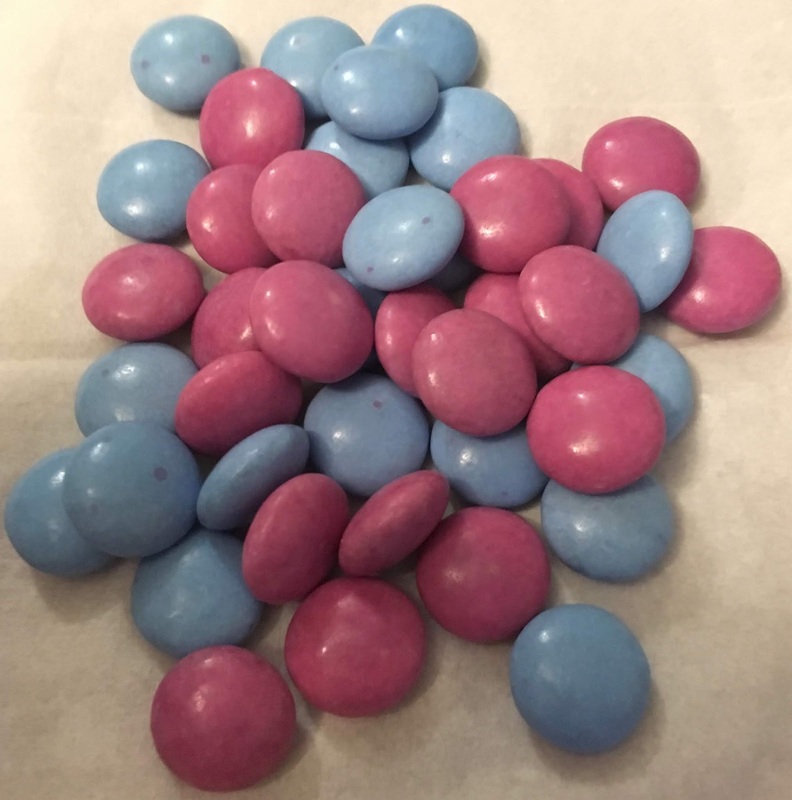 The packaging says fun, the contents say regular Smarties, just blue and pink coloured ones. Yes the concept works, I’ve eaten enough regular Smarties to know the formula is okay, it is just that there is nothing new here. For me it is the fact that they could have done so much more. Smarties with an edible glitter covering, a new coloured shell, or even a two-tone shell, how about a unicorn design on the shell? So many possibilities. Smarties containing popping candy, heck even something as simple as a white chocolate filling would have made it look a bit more like they made an effort. Unicorns are magical, so it strikes me there should be something magical, or at least a bit more unique and innovative about Unicorn Smarties, not just regular pink and blue ones in a bag. As much as I like Smarties I was a bit disappointed at the lack of effort for this tie in product. It is all about the packaging, there is nothing else new to see here. I get that the pink and blue colours might be useful if you have bought the bag for use in a baking project, but I hardly think that was the target market. Come on Smarties, you had the opportunity to impress us and you chose the minimum effort option. Personally I’ll stick to regular Smarties.